Inspired by women everywhere. Give the gift of inspiration. 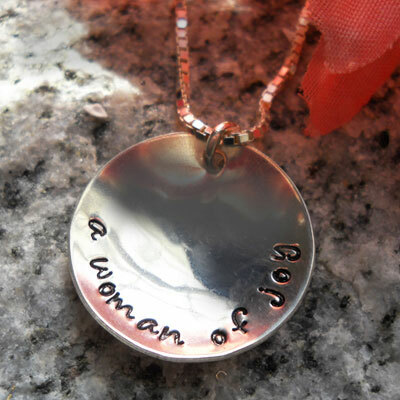 This beautiful Sterling Silver Pendant is hand stamped with the phrase "A Woman of Joy". What a wonderful message for a great gift for someone special or even yourself! 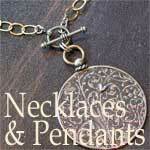 Actual text is hand stamped - each precious letter one at a time. This is not an engraved piece of jewelry - but rather a delicate hand crafted sterling silver pendant which hangs from an 18" sterling silver necklace. Add a charm for a truly personal touch.